Petrucci, Filippo, and Marisa Fois. “Attitudes towards Israel in Tunisian Political Debate: From Bourguiba to the New Constitution.” Journal of North African Studies (early view; online first). Tunisia has developed an original diplomatic approach to the Israeli–Palestinian conflict. Relations between Tunisia and Israel (and more generally between Israel and the Arab world) have also influenced internal relations within Tunisia and the reactions and decisions of its Jewish community. This paper describes the evolution of the Tunisian government’s attitudes towards Israel and the Palestinian issue in the post-independence era until the approval of the new Tunisian Constitution in 2014. The debate over whether to include an article regarding ‘the criminalisation of normalisation with Israel’ in the recently approved Constitution was considerable. Issues related to Israel have thus gained prominence in national debate, following a period in which they were primarily discussed by Ben Ali’s political opponents. Through an analysis of articles, books, Internet sources and presidential speeches, this article examines the different positions taken by Tunisia towards Israel and how they have evolved over time. Sahhar, Micaela. Occupied Narrative: On Western Media Collusion with Israel’s ‘Wars’ and Recovering the Palestinian Story, PhD thesis. Melbourne: School of Social and Political Sciences, University of Melbourne, 2015. This thesis seeks to capture the effects of decline in normative narrative structure about the Israel–Palestinian conflict. 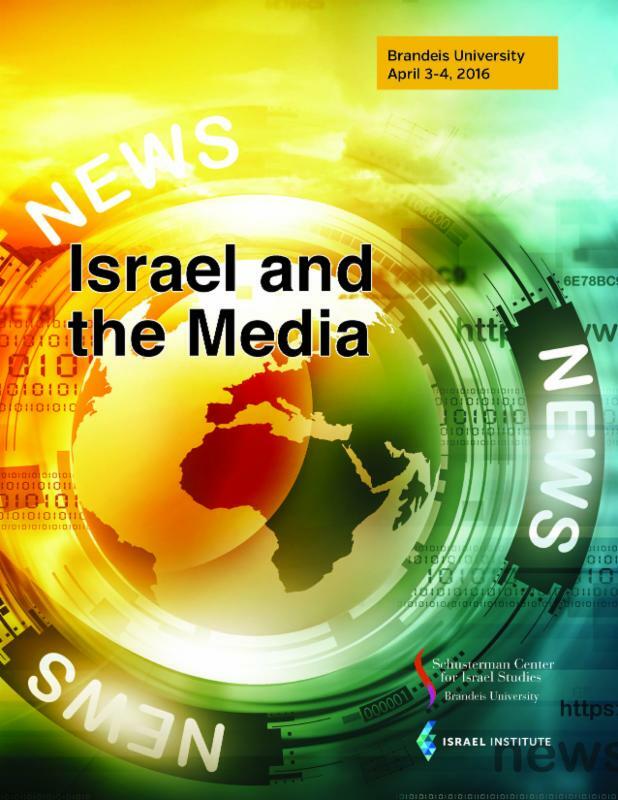 By engaging in analysis of Western media, the work illuminates the reliance of Western media coverage on Israeli narrative, and the way in which the media has conditioned Western publics to view the conflict. It argues that, historically, privileging a perception in which Palestinians are primarily defined through an Israeli optic has been key to the dissolution of Palestinian narrative internationally and has diminished the weight of contemporary Palestinian claims in diplomatic process. However, it is argued that the first decade of the 21st century saw a growing critique on how Israel-Palestinian relations are defined. Accordingly, the project takes as its source material the reports and editorials of three different newspapers during two Israeli assaults on the Occupied Palestinian Territories: Operation Defensive Shield (2002) and Operation Cast Lead (2008–9), to document both the way in which certain kinds of narratives are privileged in portraying the Israel–Palestinian conflict, and the decline in narrative dominance which Israeli narrative had previously enjoyed. Both events occurred at the start of a radically different media age for capturing and disseminating information, which created an environment in which depiction of the operations in Western media could not be received as absolute, but circulated alongside other, contestable, narratives. This expanded traffic of information, and Israeli and Western media’s command over and response to this, evince a growing friction between Israeli-driven perspective and emerging alternatives in mainstream discourse. Thus, this thesis seeks to interrogate the inadequacies of received knowledge about the Israel–Palestinian conflict in the West at a moment in which the edifice of dominant narrative has become untenable, and simultaneously a moment in which new narratives might be advanced with hope of a willing reception. The thesis concludes by evaluating the impact of, and response to, these operations on narrative about the conflict, and considers how this change in narrative direction since Operation Cast Lead could contribute to transforming the dynamic of Israel–Palestinian relations. It argues that shifts in media representation are indicative of the external pressures which have forced Israel to engage in a battle for legitimacy. It considers how certain discourses, such as securitisation and terror, which have privileged Israeli objectives through a matrix of deflection, could be (re)incorporated into an analytical rather than political framework to transform the current discourse on Israel–Palestinian relations, in particular by enabling the international community to scrutinise Israeli action and hold Israel to account. Finally it considers what effect these signs of narrative transformation could have on Israel’s relations with the Palestinians. However, it is concluded that work towards reconciliation will ultimately require radical shifts in the Israeli subjectivity in order to create a willing partner in Israel for meaningful change. Bishara, Amahl. “The Geopolitics of Press Freedoms in the Israeli-Palestinian Context.” In The Media and Political Contestation in the Contemporary Arab World: A Decade of Change (ed. Lena Jayyusi and Anne Sofie Roald; Basingstoke and New York: Palgrave Macmillan, 2016): 161-86. Surely, a desire to restrict coverage was part of the Israeli authorities’ intentions in limiting journalists’ access to Gaza. However, it is also possible that Israel restricted foreign journalists’ presence not only in order to constrain coverage, but also in order to make it easier for the Israeli military to carry out operations without killing non-Palestinian civilians and thereby provoking international outcry. This issue focuses on the analysis of an incident around the investigation of an Israeli soldier in Britain on suspicion of involvement with war crimes during Operation “Protective Edge”. This manifestation of a growing phenomenon, whereby information on IDF soldiers is gathered for the purpose of pressing charges against them in foreign countries. Against the background of this phenomenon, you can read Prof. Amichai Cohen’s article on the employment of the universal jurisdiction principle against Israel, and an article by Dr. Moran Yarchi (IDI and the IDC) on the role of this event in the ongoing battle over the image of Operation “Protective Edge”. מבצע “צוק איתן” הסתיים בקיץ 2014, אך הקרב על הלגיטימציה שלו עדיין חי וקיים, כפי שניתן היה ללמוד מחקירתו בבריטניה של קצין מילואים אשר לחם במבצע. מאמר זה בוחן את העמדה לפיה מאבקים צבאיים כיום אינם מוגבלים למלחמה צבאית אלא הם כוללים מאבק על התודעה, ומכאן כל מדינות לנהל את מאבקן גם בזירות הלחימה הנוספות, ובראשן בחזית התדמיתית. מאז ראשית המאה הנוכחית אנו עדים לניסיונות שונים להפעיל סמכות שיפוט בינלאומית נגד אזרחים ישראלים, שפעלו במסגרת העימותים בין ישראל לשכנותיה. על רקע חקירתו של חייל ישראל בבריטניה ביחס למבצע “צוק איתן”, סוקר מאמר זה את האופן בו ניתן לעשות שימוש נגד ישראלים במנגנון הסמכות האוניברסלית או בסמכות בית הדין הפלילי הבינלאומי. Lynch, Jack, and Annabel McGoldrick. “Psychophysiological Audience Responses to War Journalism and Peace Journalism.” Global Media and Communication (early view; online first). This article presents and discusses the results of an experiment in which television viewers were exposed to either a war journalism (WJ) or a peace journalism (PJ) version of two news stories, on Australian government policies towards asylum seekers and US-sponsored ‘peace talks’ between Israel and the Palestinians, respectively. Before and after viewing, they completed a cognitive questionnaire and two tests designed to disclose changes in their emotional state. During the viewing, they also underwent measurement of blood volume pulse, from which their heart rate variability (HRV) was calculated. HRV measures effects on the autonomic nervous system caused by changes in breathing patterns as subjects respond to stimuli with empathic concern. Since these patterns are regulated by the vagal nerve, HRV readings can therefore be interpreted as an indicator of vagal tone, which Porges et al. propose as an ‘autonomic correlate of emotion’. In this study, vagal tone decreased from baseline through both WJ stories, but showed a slightly smaller decrease during the PJ asylum story and then a significant increase during the PJ Israel–Palestine story. These readings correlated with questionnaire results showing greater hope and empathy among PJ viewers and increased anger and distress among WJ viewers, of the Israel–Palestine story. Desai, Christina M. “Reviewing Political Controversy: Books Reviewers Assess Children’s Literature Set in Israel–Palestine.” International Research in Children’s Literature 8.1 (2015): 45-60. Because book reviewers influence which books are purchased for libraries and schools, it is important to understand the explicit or implicit criteria they employ. Reviewer practices with books on politically controversial topics set in Israel/Palestine and available to a US audience often reflect partisan views, with the dominant political discourse favouring the Israeli position, although this is far from ubiquitous. While some reviews avoid addressing the books’ politics, others are decidedly partisan. Many base their evaluations on their estimation of the degree of hope and political balance achieved in the works, yet these expectations are applied selectively. Some expect stories told from a pro-Palestinian perspective to be hopeful and balanced by sympathetic Israeli characters and opinions, but do not measure stories told from an exclusively Israeli perspective by the same yardstick. The strength of the dominant discourse is apparent in this selective application. Another common criterion is the educational usefulness of these books as teaching tools. Reviewers seldom evaluate them on their literary merits. This phenomenon illustrates Norman Fairclough’s assertion that the dominant political discourse is so internalised as to appear to be commonsense, and this obscures both its influence on one’s own worldview and the possibility of alternatives.